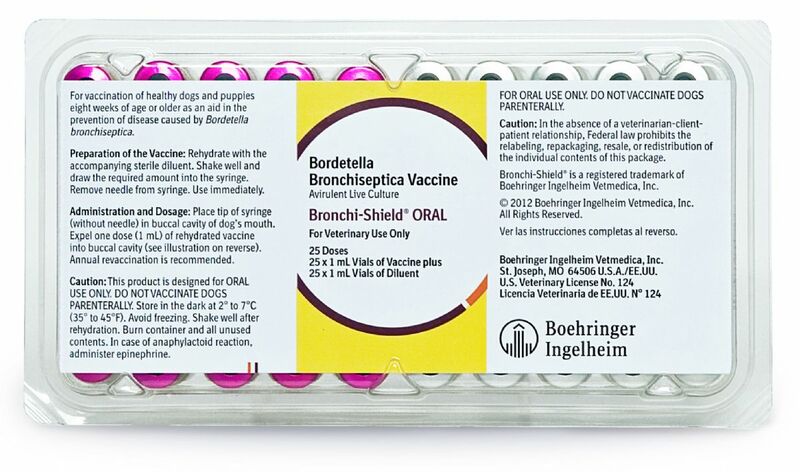 Boehringer Ingelheim brand vaccine effective for vaccination of healthy dogs and puppies eight weeks of age or older as an aid in the prevention of disease caused by Bordetella bronchiseptica. This product is shipped refrigerated and must be shipped overnight. Must be ordered separately from other products.